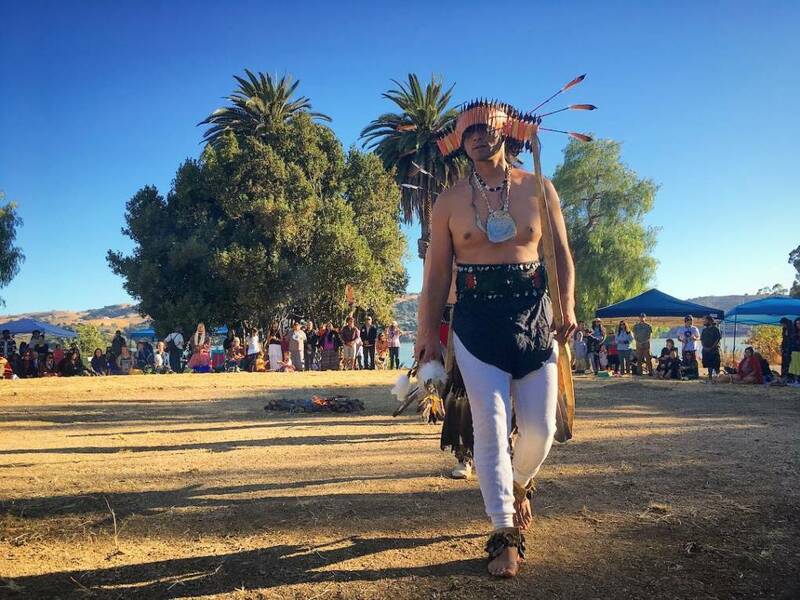 This weekend, members of the Winnemem Wintu tribe wrapped up a 300 mile trek, from the mouth of the Sacramento River north to Shasta Lake. 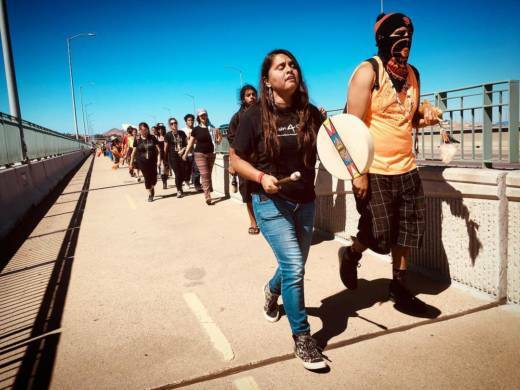 Dozens of Winnemem, indigenous activists and allies walked, ran, biked, boated and rode horses along the way. The event, called Run4Salmon, is part of the tribe’s plans to change the course of history for endangered Chinook, once plentiful in this part of the world. 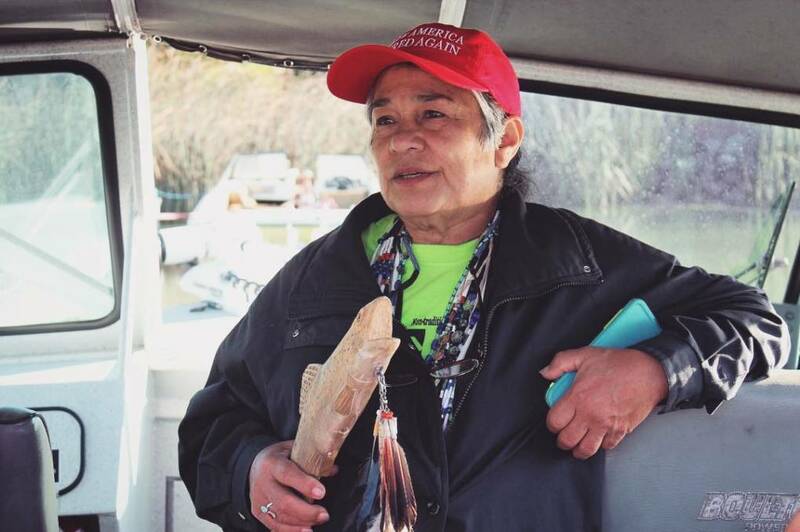 “We’re here ... in an effort to wake the people up to what’s happening to the water systems here in California and also to restore our salmon,” said Winnemem Chief Caleen Sisk. Winter-run Chinook salmon have been blocked from native spawning habitat on the McCloud River above Shasta Dam for decades, but Sisk wants to change that. Run4Salmon, now in its third year, is meant to raise awareness about the region’s imperiled salmon. Chinook were once a dietary staple for the Winnemem, but after European settlement in the 19th century, overfishing, dredge mining, and dams on the Sacramento River and its tributaries caused salmon populations to plummet. Today, climate change is expected to warm waters, making Northern California even less hospitable to salmon. Many populations appear on the Fish & Wildlife Service’s endangered species list as either threatened or endangered. Winter-run Chinook face “immediate risk of extinction,” according to a 2017 report from the conservation group California Trout and the University of California-Davis Center for Watershed Sciences. 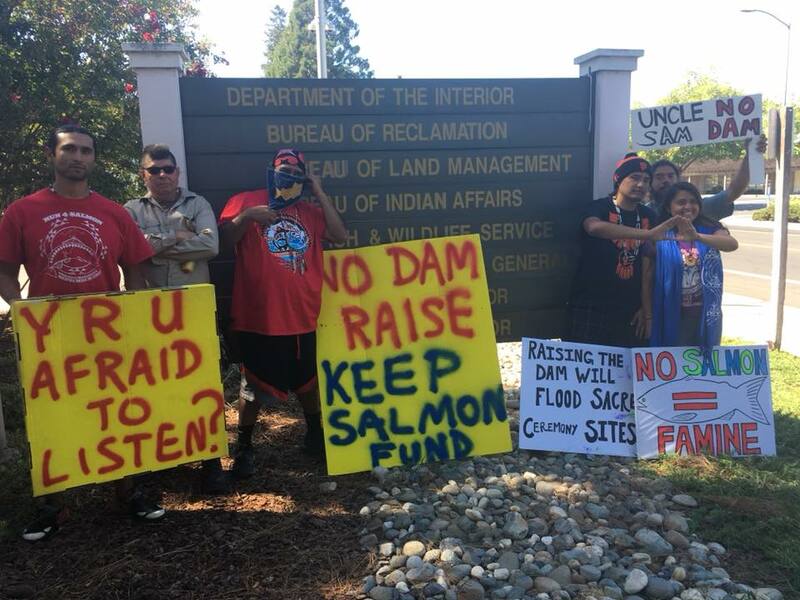 Shasta Dam is perhaps the biggest obstacle to salmon restoration in historically Winnemem territory. The U.S. Bureau of Reclamation built the dam just north of Redding in the 1940s to store water for California’s growing cities and agricultural industry. Today, it’s a linchpin of the state’s sprawling water system and creates California’s largest reservoir. 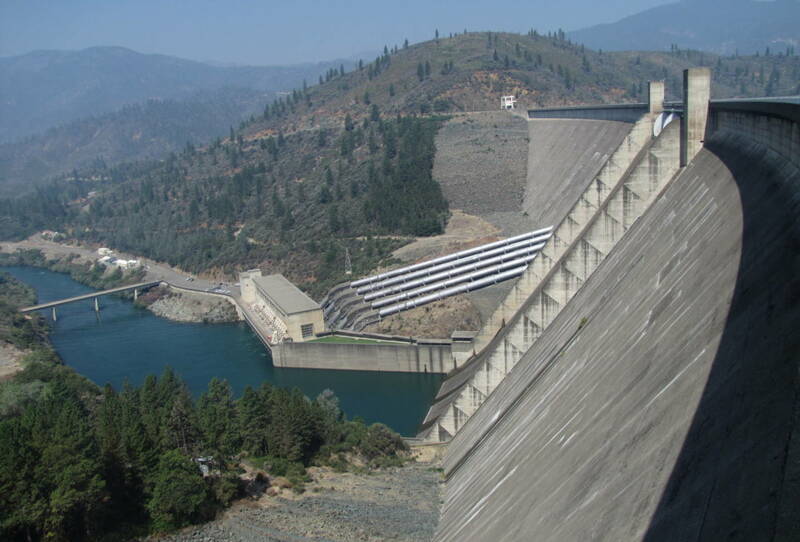 The Bureau of Reclamation plans to raise the 602-foot dam another 18 ½ feet to store an additional 630,000 acre-feet of water. Reclamation geologists will take core samples at the dam as part of a preconstruction and design phase of the project in the next few months. How the $1.4 billion project would be fully funded is not yet clear, though Reclamation aims to have a construction contract in place by December 2019. The Winnemem’s efforts to restore their salmon also include an unorthodox project that would bring salmon eggs from New Zealand to California. Sisk says a population of salmon currently living in New Zealand were brought there more than a century ago to create a fishery, and originated from the McCloud River. Tribal members recently collected DNA samples of the New Zealand fish, and are working with University of California-Davis biologist Mike Miller to confirm those salmon indeed came from the McCloud. For Sisk, the battle to restore the Sacramento and McCloud Rivers isn’t just about fish. She sees the struggles of Chinook as intimately connected to the health of her own people. The tribe now numbers 126. This November, the Winnemem chief faces off as a Democrat against Republican incumbent Brian Dahle in an election for California State Assembly District 1. In the June primary election, Sisk won 24 percent of the district’s votes; 64 percent went to Dahle. Run4Salmon began Sept. 15 at Glen Cove Waterfront Park in Vallejo, where salmon swim from the San Pablo Bay through the Carquinez Strait and into the Sacramento River. This weekend, participants embarked on the final leg of the journey, paddling kayaks and canoes across Shasta Lake to the McCloud Bridge north of Redding.